My guest is Glenn Stallsmith. Glenn is a pastor who serves two United Methodist Churches in rural North Carolina. He's also a ThD student at Duke Divinity School. We discuss the Lectionary texts for the Fifteenth Sunday after Pentecost (B): Song of Solomon 2:8-13, James 1:17-27 and Mark 7:1-8, 14-15, 21-23. Episode 58: To Whom Can We Go? My guest is Glenn Stallsmith. Glenn is a pastor who serves two United Methodist Churches in rural North Carolina. He's also a ThD student at Duke Divinity School. 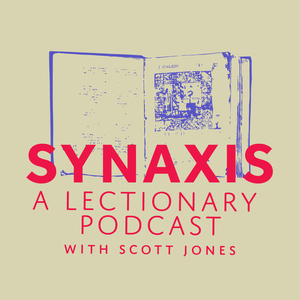 We discuss the Lectionary texts for the Eighth Sunday after Pentecost (B): 2nd Samuel 6:1-5, 12b-19; Ephesians 1:3-14 and Mark 6:14-29. 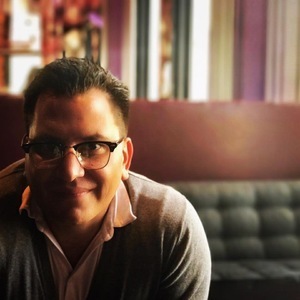 My guest is Anthony Wick.​ Anthony is currently finishing his undergraduate in theology and is in the process of pursuing the pastoral ministry. He lives in Milwaukee Wisconsin with his wife Jess and their two children. We discuss the Lectionary texts for the 9th Sunday of Pentecost (B): 2 Samuel 5:1-5, 9-10; 2 Corinthians 12:2-10 and Mark 6:1-13. My guest is Jamie Howison. Jamie is a priest of the Anglican Church of Canada and the founding pastor of Saint Benedict’s Table. We discuss the Lectionary Texts for the Sixth Sunday after Pentecost (B): 2 Samuel 1:1, 17-27; 2 Corinthians 8:7-15 and Mark 5:21-43. My guest is Jady Koch. Jady was, most recently, the Rector at St. Francis in the Fields Church in Louisville, Kentucky. We discuss the Lectionary readings for the Fifth Sunday after Pentecost (B):1 Samuel 17: (1a, 4-11, 19-23), 32-49; 2 Corinthians 6:1-13 and Mark 4:35-41.